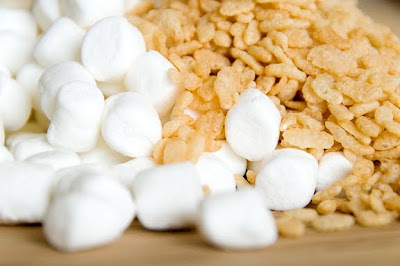 Tangled and True: not all rice krispy treats are created equal..
not all rice krispy treats are created equal..
and the secret to really good ones is letting the marshmallows and butter melt really slow. It doesn't hurt to add in some extra butter and marshmallows either. You'll end up with ooey, gooey, deliciousness. There is another secret. A little bit of vanilla extract. You won't regret it!